Michael Brock was an up-and-coming anti-trust lawyer on his way to a partnership in a big DC firm, then the unthinkable happened. A homeless man barged into the law office and held several of the lawyers hostage, including Brock. He then berated them for their heartlessness towards the more needy, before mentioning something about an eviction and having his head blown off by a police sniper. This may sound like the beginning of Quentin Tarantino's A Christmas Carol, but is really the impetus for what Grisham presents as a serious look at the plight of the homeless. First, let me say that the plight of the homeless isn't a joke, and that a society with more than enough food and resources to care for all its members and still doesn't needs to take a good long look in the mirror. 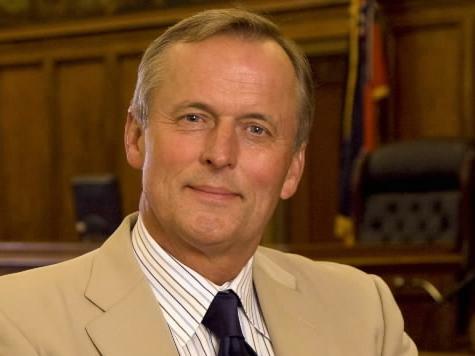 Michael Brock, after his harrowing experience, contacts the 14th street legal clinic, who represented the kidnapper previously. He agrees to volunteer at a homeless shelter with a lawyer from the clinic, where he meets an adorable child and his family. Said child and family freeze to death soon after, leading Brock to take steps in seeking justice. This is one big problem I have with the novel. Pretty much every character exists solely to spur on Brock's development, with no real motivation of their own. His relatives are one-dimensional success-oriented cardboard cutouts, the homeless characters are extras borrowed from The Fisher King, and Michael Brock is a Scrooge-like persona, sliding from 'self-centered rich yuppie' to 'beleaguered defender of the downtrodden.' For a book that clearly presents itself as having a clear moral purpose (helping the homeless), the homeless play a pretty small part in it. It's about the brave lawyer turning down a promising career as a soulless attache to the rich in favor of becoming a brave lawyer with a heart of gold. He further undermines his own point by focusing the plot on a criminal conspiracy against a group of homeless people, which, while it allows for a happy ending where they stick it to the man, detracts attention from the completely legal ways in which our current system is unjust. 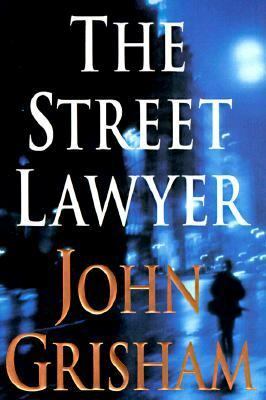 Despite some sentimental speeches about society's apathy, the majority of the novel paints the altruistic lawyer as the salvation of America's homeless, at the same time relieving the readers of the sense of responsibility the novel is supposed to instill. I realize I'm being pretty harsh, but let me say that it's a good thing Grisham used his reach as a public figure to draw attention to a good cause. As a novel, it's better than last week's The Partner as well as The Testament (which I'll review next Monday). If you have some insatiable urge to read a Grisham novel, and this is the only one available, go right ahead. Otherwise, skip it. This is a long slog through the Grisham Era. I read three or four of his early works but he keeps cranking them out. I had never even heard of this one.The top ten list is interesting in that Danielle Steel has three books on it. A Man In Full was probably Wolfe's last good book if you grade on a curve. If you have some insatiable urge to read a Grisham novel, and this is the only one available, go right ahead." A will is one of many means by which a transfer of assets is accomplished at the time of one’s death. It requires certain formalities, such as being witnessed. For more information, you should visit estate planning law firm. At Oakville Family Lawyer - Lydia Moritz we only deal in the area of family law. The firm’s leading lawyer, Lydia Moritz is an expert lawyer who has experience and dedication to provide you with the best and tension-free legal services. Her expertise lies in divorce, child custody, property settlement, spousal support and many other issues. It is really an informative blog. All you need to hire the lawyers to resolve the issues related to divorce, child custody, family issues for mor information you can visit Houston divorce law firm to resolve the issues.